Guess who Golden Child's Daeyeol dressed up as for this year's Halloween? Back on October 31, the members of Golden Child got all dressed up for a fun, Halloween-themed 'Rooftop Live' broadcast with 'V Live'! While sharing a preview of his Halloween costume via Golden Child's Twitter, leader Daeyeol asked fans, "Am I an exact look-alike? Hahahahat, first time revealing my whole forehead since debut!!!!!!! Love you Goldenness." Have you figured out yet who Golden Child's Daeyeol dressed up as for this year's Halloween? 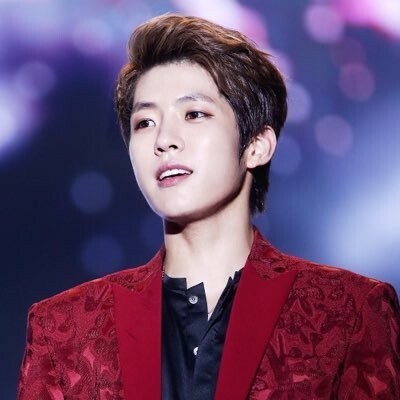 Daeyeol's very own older brother, INFINITE's Sungyeol! 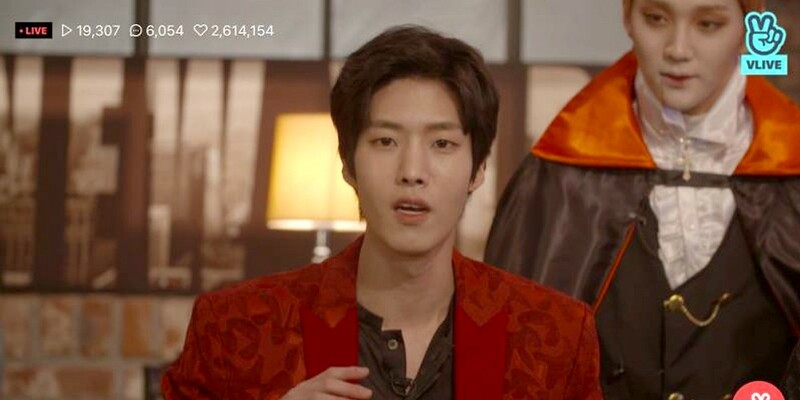 It looks like Daeyeol picked out an exact look from Sungyeol's "The Eye" era, fans noted. Watch clips from Golden Child's 'Rooftop Live' below as Daeyeol assertively introduces himself with a spot-on impersonation! Which Golden Child member's Halloween costume was your favorite?